I hate you HK .. Nice gun. time to paint it ryu then it's one of the best. 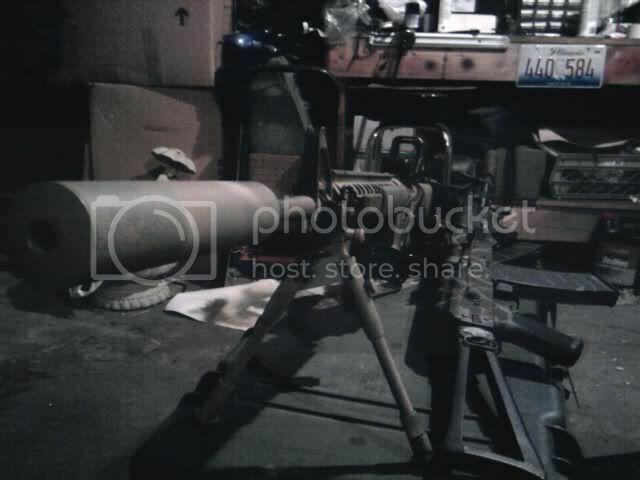 Havin fun shootin guns Op Force Sabre style. 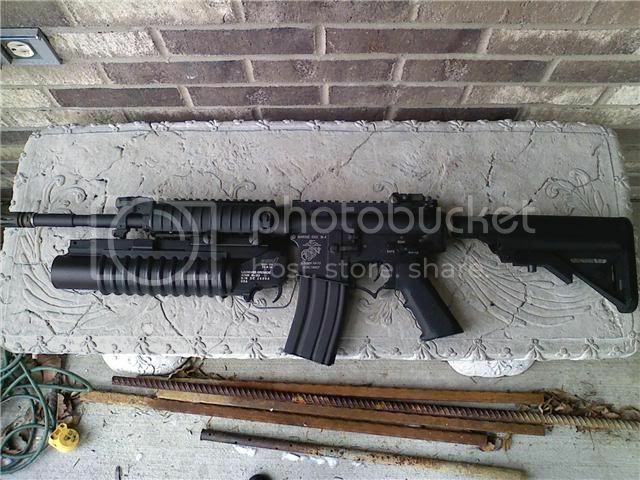 The improved M4 SPR, custom paint by me, re shimmed, 6.04 inner barrel, preventative matinence and 2nd tooth removal from the piston. 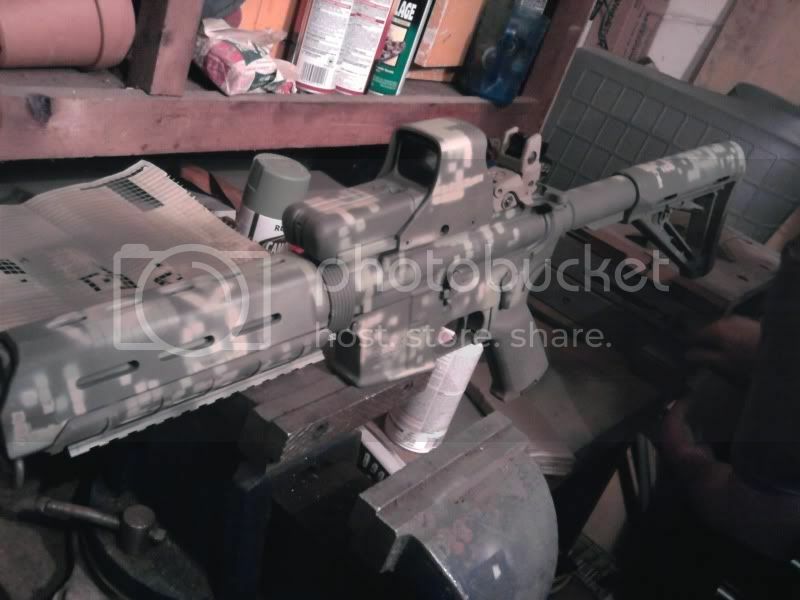 and a REAL EOTech from Iraq, an honorable mention. Last edited by operator863; 11-14-2009 at 05:24 PM. 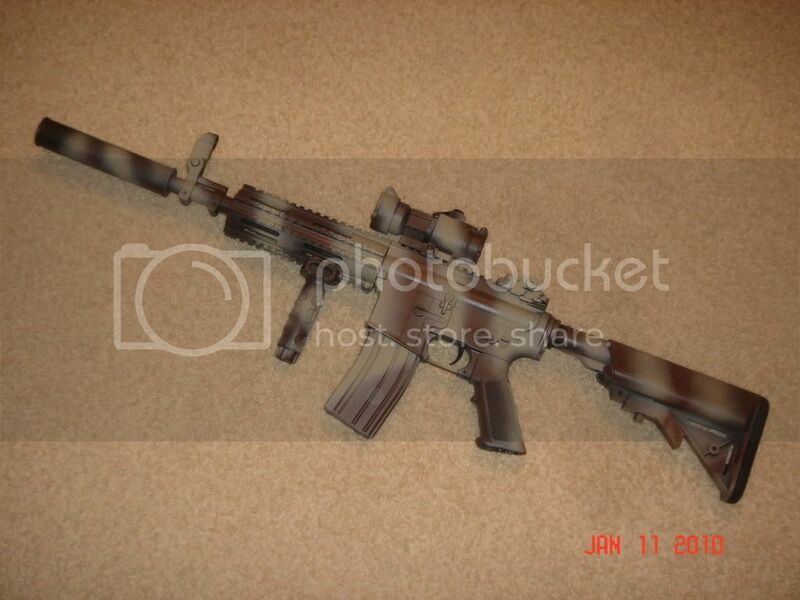 Tokyo Mauri M4 a1 with a systemma m100 spring in it supposed to shoot .20 bbs at 350 ft per sec. It has Colt markings on it which i think is not allowed anymore. 1 hi cap mag and two standard mags. Like Brand new selling for $175 right now. Tokyo Mauri Mc51 Like new with 2 standard mags selling for $150. Tokyo Mauri Full Auto Tracer with a bag of tracer bbs. really cool it illuminates the bbs as they pass through to a really bright green. 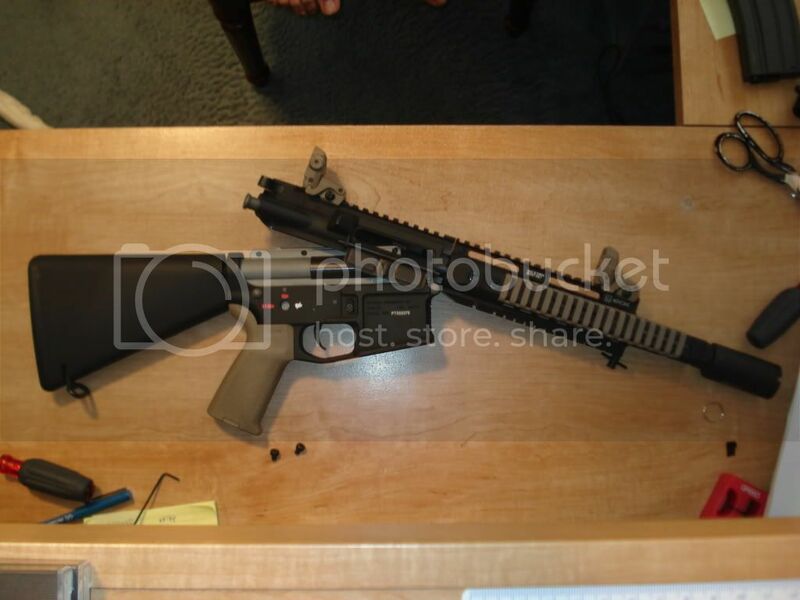 it also looks like a suppressor. $65 also like new. I have pics if anyone can tel me how to post them. im not that computer savy. If your in the area i promise that they are flawless and practicly new. In all honesty your argument is most likely allready been discussed. This is why we have the wait period. Location: 1060 West Addison, Chicago IL. Last edited by cy72; 01-11-2010 at 08:05 PM. 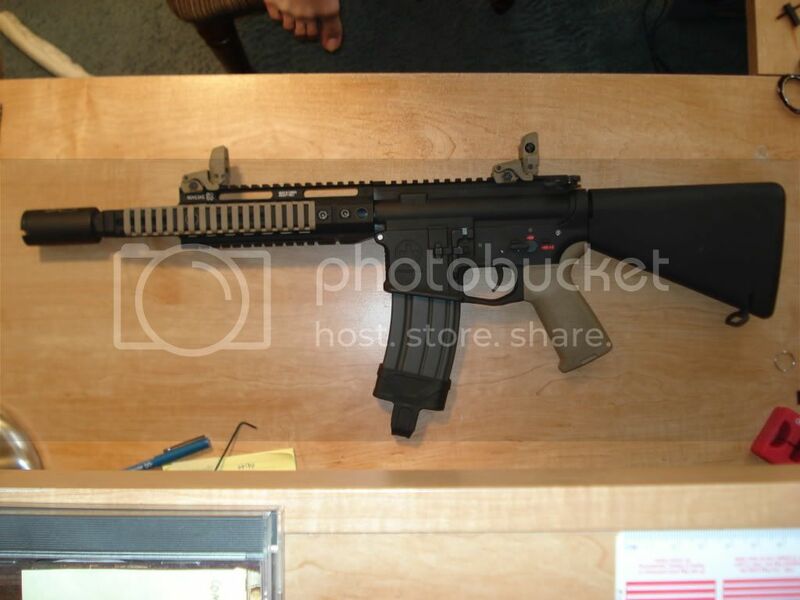 Here it is 2009 PTW M4... well what it use to be. It's in the process of getting a face lift. 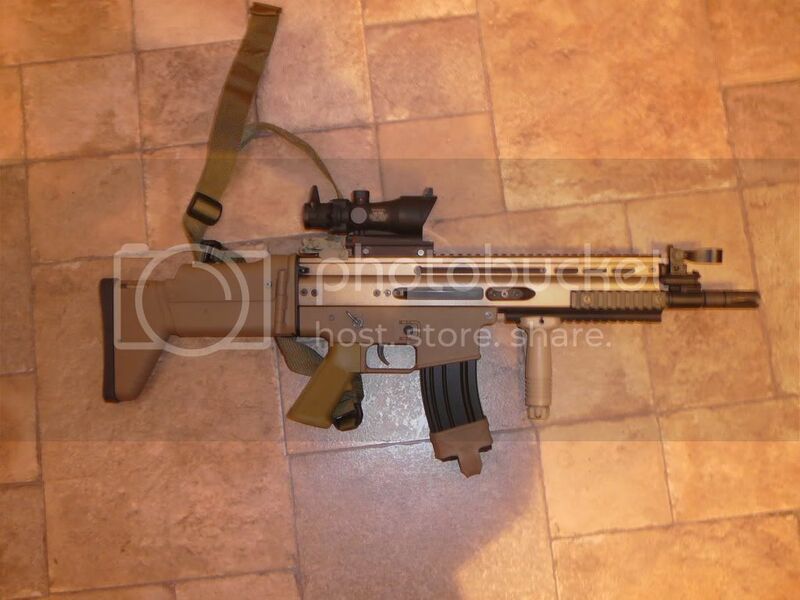 To come 10.5" barrel & Novsike 10" rail system while the Magpul hand guards and vltor front post are leaving. All you need to know once your in the door is to get rounds on the shooters and don't shoot the non shooters. Got it? Last edited by Dog Tags; 01-11-2010 at 08:22 PM. 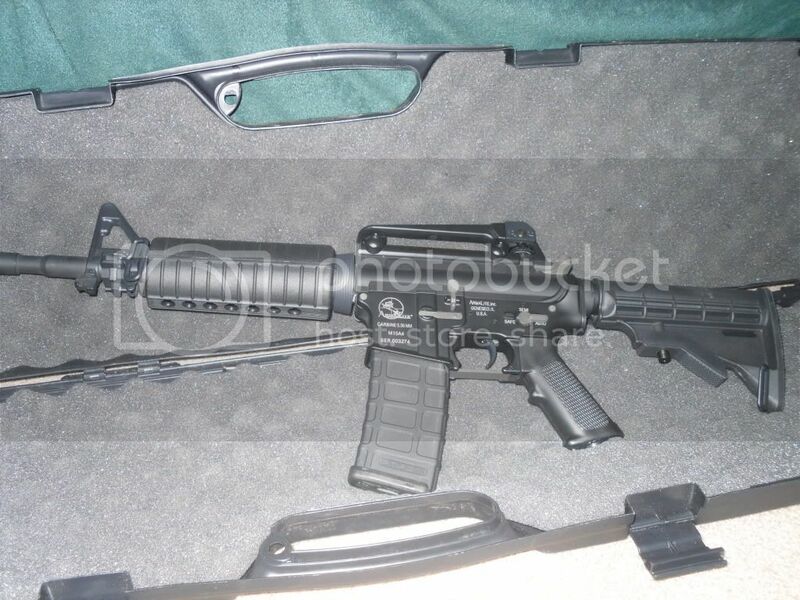 additional: DBoys M16A4, systemma shims, guarder piston and head, airseal nozzel, reinforced gears, Mad Bull python 6.03. First attempt at painting an AEG. Let me know what you think, any criticism is appreciated. Note: The finish is actually much more "flat" than my camera would show, the flash seems to add some glossiness to the paint-job. not to bad man, I like it. Ryu is that dirt or rust on your muzzle? Last edited by Teddy Bear; 01-12-2010 at 10:20 AM. 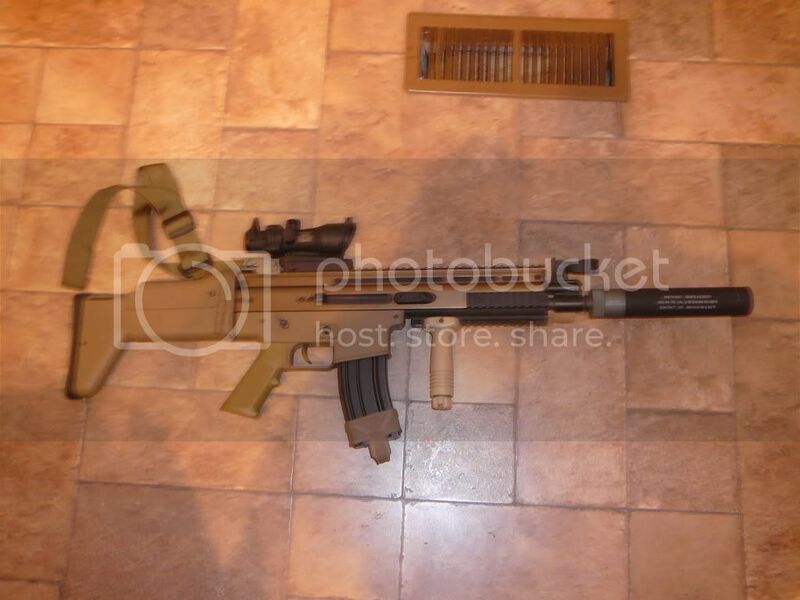 Heres the scar i just got form Hooah... will be replacing the suppressor for a scar one but this is on here for now. What are the specs on that G&P? ^^^ Thats a different look for a g36. You plan sniping with that thing or what? 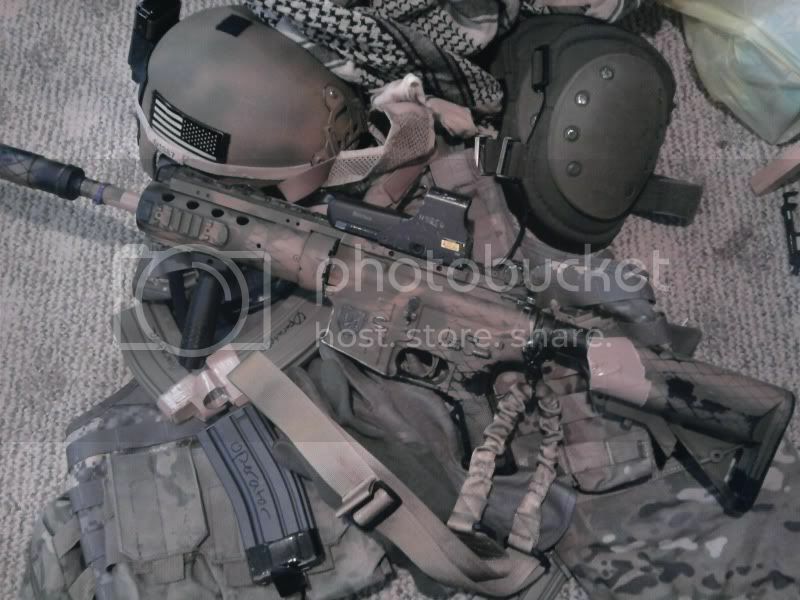 Am I seeing that wrong or do you have 4 mags connected together on the G36. Here's my Systema/Classic Army MC51. New paintjob done recently thanks to Operator863 for tips on how. "All will fade, all but one. Evolution has begun." So, getting very tired of the large and front heavy SPR front end on my AEG, I decided since I had the spare parts sitting around, I'd change it up and make it into an M4. The result, which I truly like. 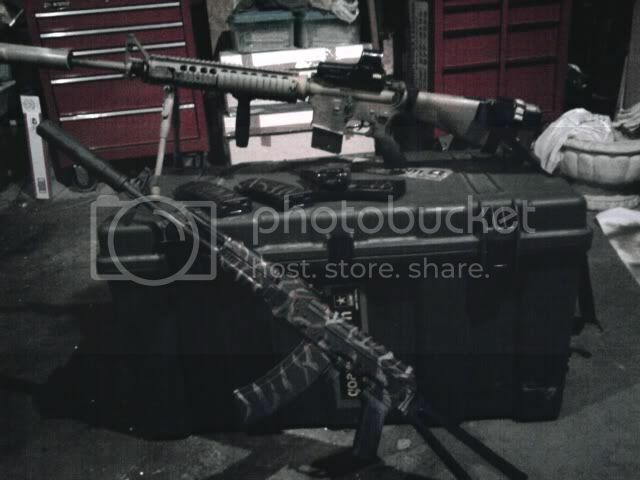 The only problem is the barrel is still 509mm and I don't have an M4 length inner barrel yet, hence the SPR flashhider/silencer on it. 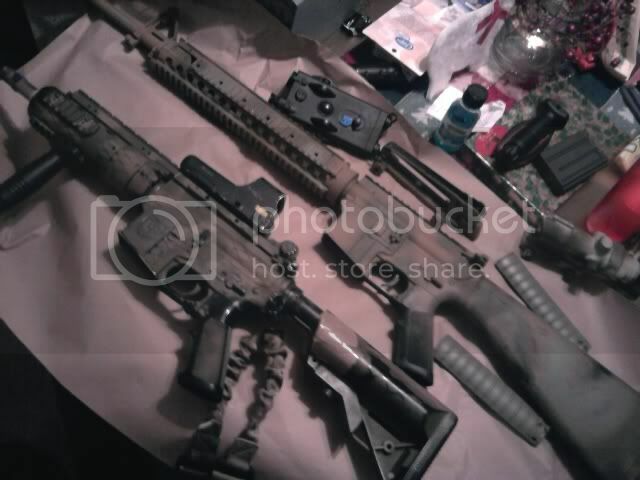 Need a new grip and a shorter inner barrel so I can get rid of the flash hider/silencer. I know I'm not from Ohio, but here's my primary anyway.